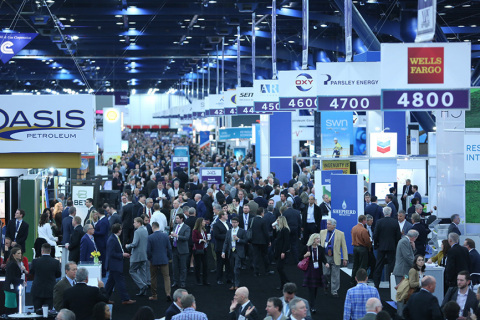 More than 12,000 professionals from around the globe will gather for a week of networking and professional development during NAPE Summit 2019, which will be held Feb. 11-15 at the George R. Brown Convention Center in Houston. In addition to the annual expo, NAPE Week will feature four networking events, five education seminars and a job fair. Jamie Beggs, senior vice president & CFO at Hunt Consolidated, Inc. The annual NAPE Global Business Conference will take place Wednesday, Feb. 13 and include insights from industry leaders and executives. Mike Grimm, president of Rising Star Petroleum, LLC, will keynote the conference with his presentation on “Mergers and Where Domestic E&P Is Going.” Grimm will be joined at the conference by a lineup of expert speakers and panelists from BHP Billiton Petroleum, Chevron U.S.A. Inc., Energy Transfer Partners and Hunt Oil Company, among other companies and organizations. During the two-day expo, NAPE Summit will provide opportunities for its exhibitors to further their reach by showcasing their products and services to prospective clients during the Prospect Previews and Capital & Service Provider Previews in the NAPE Theater. NAPE Summit will also host a Job Fair to give both employers and recruits an opportunity to connect, and attendees and exhibitors will be able to network with one another during the annual Icebreaker. Finally, NAPE Week will conclude with the Summit Sweepstakes Drawing for a brand new Jeep Wrangler. To register for NAPE Summit 2019, visit www.napeexpo.com.